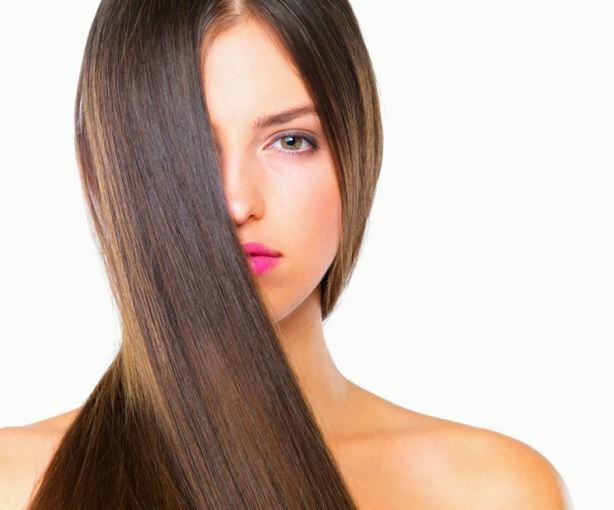 As everyone knows every woman wants to have smooth and silky hair.Short or long, curly or straight—shiny hair always gives a good impression,make them more confident and more popular.The outer layer of healthy hair contains natural oil to keep it moist and shiny.But it is fragile.When this layer is damaged, your hair will look dull, unhealthy and dry.As a result of this you must learn some hair care skills.in order to get soft silky hair.Smooth, shiny hair aren't totally unattainable, even if you don't have a celeb-level hairstylist,There are plenty of easy tricks you can use at home,Now let' talk about how to get soft silky hair. This is the most commonly used method.I'll bet that most people are using this method,protective serum is rich in vitamins and nutrients,can effectively repair the damage,So if you want to save time protective serum will be a good choice. Hair furcation It's inevitable for everyone,Hair furcation because the surface layer ( or periostracum) of hair stem has been already damaged. This is a beginning,If you don't stop it all,Hair fork will be more and more serious,Under these circumstances get regular trims becomes particularly important,it can effectively prevent the deterioration of the situation. Right I know you must be confused.But it's a pity that it's true.We suggest you rinse with cold water.To be frank,I don't like too,rinse with warm water It is pleasant.but,rinse with cold water is hard to accept especially in the cold winter.But there's a fact that you should know.Heat will damage the hair,As a result of this we suggest you rinse with cold water. Most of us use numerous branded conditioners, shampoos and serums to add a beautiful shine to our hair.But over time, these products can do more harm than good,you can try some simple and natural remedies to make hair smooth and shiny.